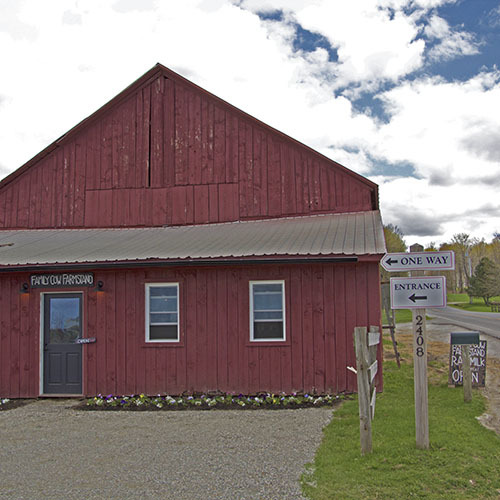 Located in the highpeaks region of the Adirondacks, we sell raw milk from our herd of pastured brown Swiss cows and make raw milk cheeses which we sell at the farm store, and locally elsewhere. Liz: "Year round cow milk. Seasonal goat milk. Bring your own container or buy one here. Low temperature cream, yogurt, cheese curds, feta and chèvre. Eggs, goat milk fudge and host soap. Open most days 9-11am. Or call ahead to work out another time: 716-807-2963"
Jeremy: "We are one of the only certified Biodynamic and Organic dairy farms in the country with an amazing herd of 60 "horned" mixed breed cows. We raise the calves with the mothers as well on pasture from late April to late October. We do feed grain but it is all grown on farm and is about 10% of their diet. Being biodynamic for us means all of our feed is grown on farm and we have a symbiotic relationship with the land in which it is placed first and foremost. 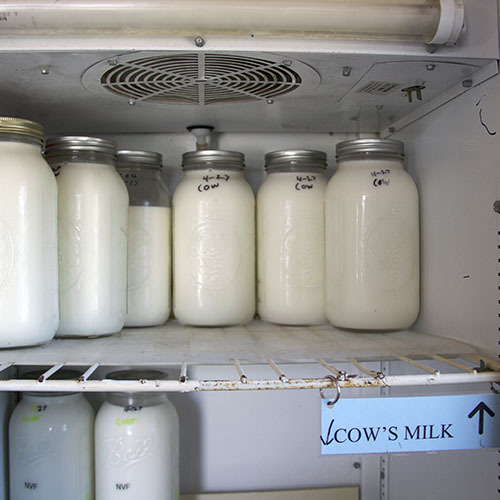 Our raw milk is available year round as the milk flow does not stop with our breeding program. 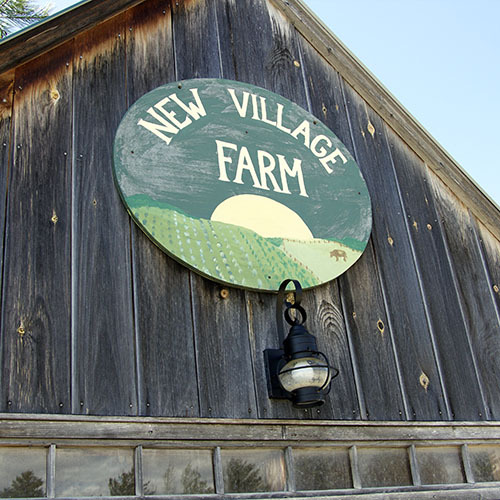 The farm is open and set up for self-guided tours in which you can explore all aspects of the farm including our magnificent farm store, bakery, creamery, and vegetable production." Becky: "We sell cow milk and it is available year-round. For large purchases (2 gallons or more), we like to get a pre-order at least 2 days ahead of time. Otherwise you can just show up. 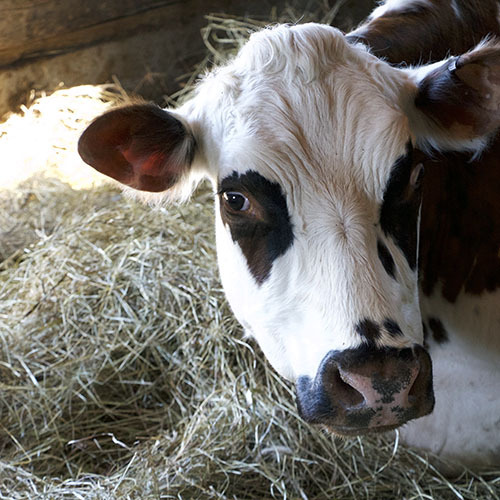 Milk is sold in our self-service farm store, which is open 24/7." Lisa: "We offer raw goat's milk. Our season generally runs April through January. 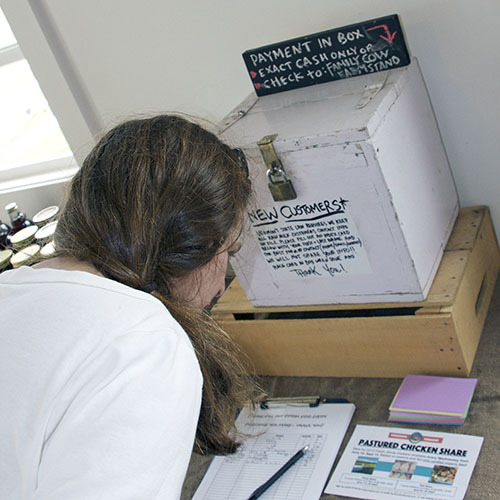 We do advise customers to call ahead as we also make cheese and may not have milk available." Doug: "FARM FRESH RAW MILK available on farm, call to get on schedule. We do not feed grain. We test our cows for several milk quality components, details available on request." Michaela (qui parle français! 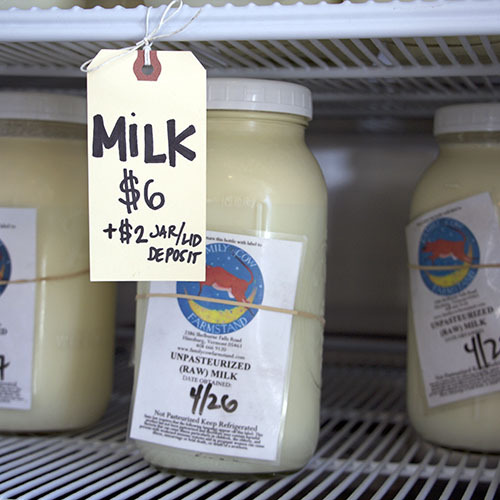 ): "We are indeed very lucky to be able to sell raw milk here in Vermont, and I have some customers from Montreal. I wish you the best of luck in making legislative headway on the issue there. It seems such an impossible situation.We have a small herd of Normande cows, and we sell raw cow's milk, year round, out of our self serve farm stand, and raw goat's milk from March 15-December 15. Customers can come by anytime from 8AM until dusk. We are a small operation, but tours can be arranged with advance notice, in English or French." 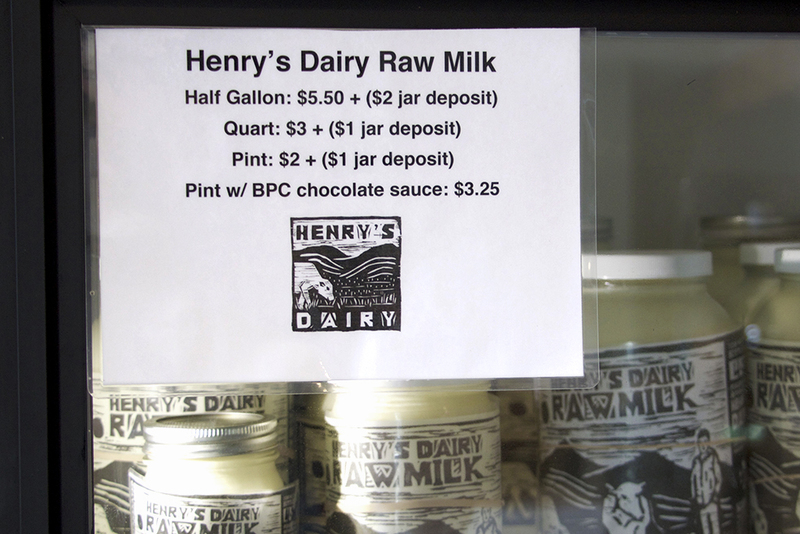 Aubrey: "We have raw milk available year-round. 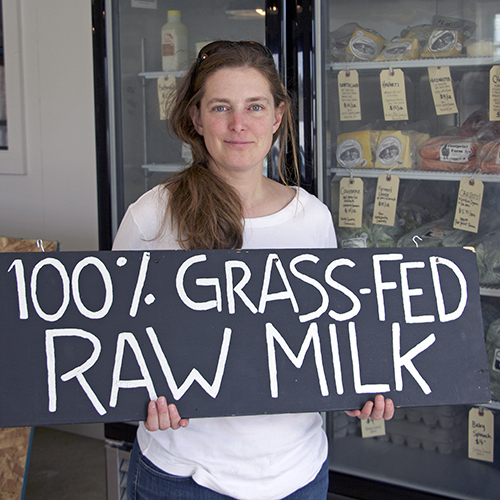 We are a 100% grass-fed cow raw milk dairy. 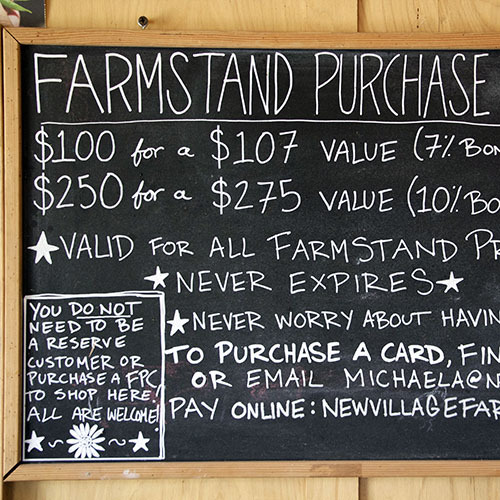 Our farmstand is open year-round / 7 days a week (7am-7pm) for people to stop in at any point. We ask customers to call or email ahead if they are looking to purchase more than 3 gallons of milk so that we can reserve it for them. 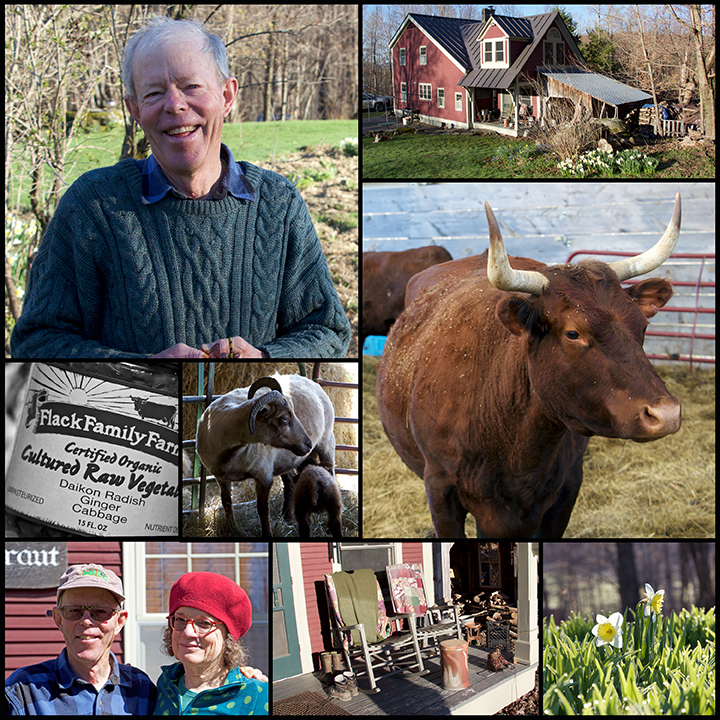 We we're Vermont's 1st certified raw milk dairy and take great pride in producing the healthiest, cleanest, and most delicious raw milk possible, while raising and taking care of healthy, vibrant 100% grass-fed cows." Bob: "Since 2009, we milk a few cows. We initially bought four lovely Jersey cows. At our farm you will find small farm raised food at fair prices. 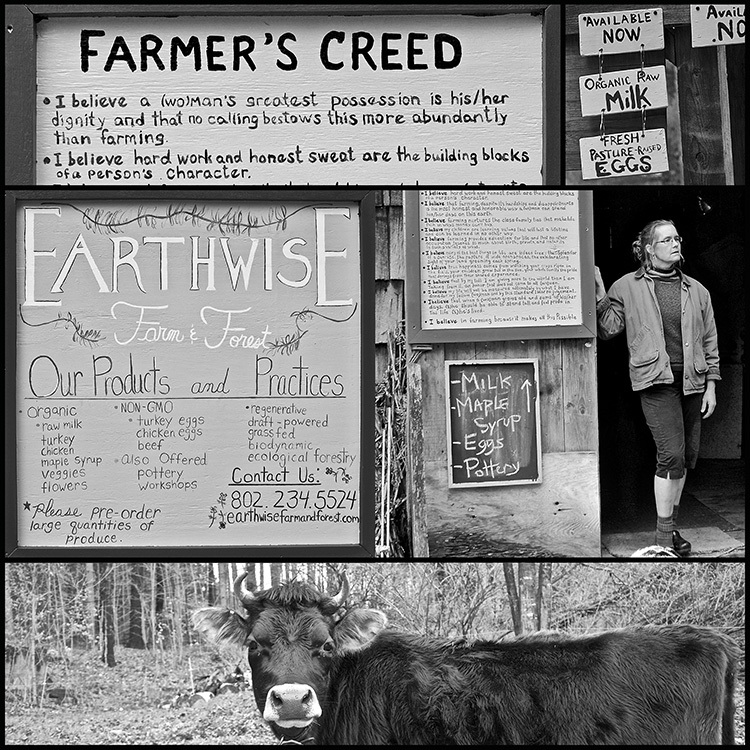 Our store is open daily 9am-5pm"
Lisa: "Earthwise Farm and Forest is a certified organic, draft-animal powered family farm located in Bethel, Vermont, and owned/operated by Carl Russell and Lisa McCrory. 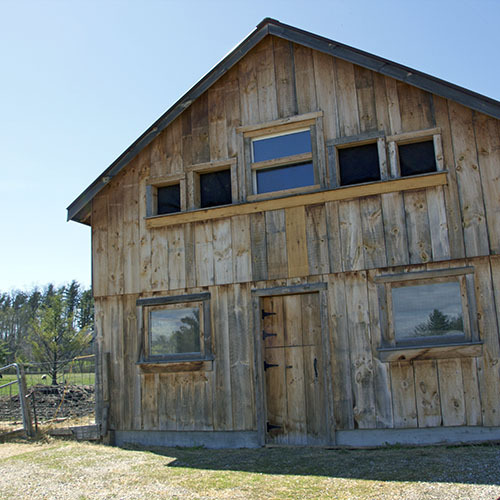 We produce and sell organic raw milk, chicken, heritage turkey, garlic, vegetables, herbs, flowers, and non-organic (though pastured and fed organic grain) eggs, pork and beef. 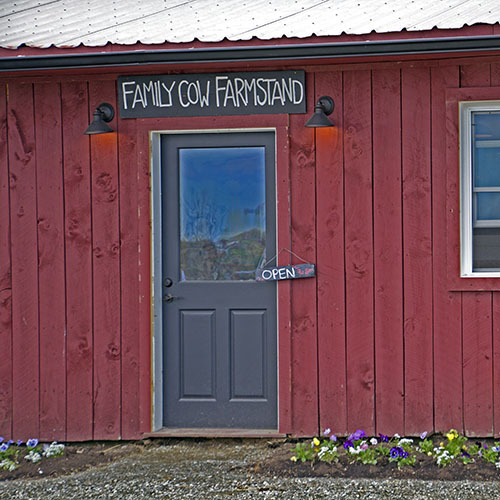 We have a retail store on our farm where you can find your pre-ordered milk, meat & vegetables along with hand-made pottery (Lisa’s Joyful Pottery). To purchase raw milk, vegetables and/or flowers, we request that you call ahead of time (a day or two in advance recommended). 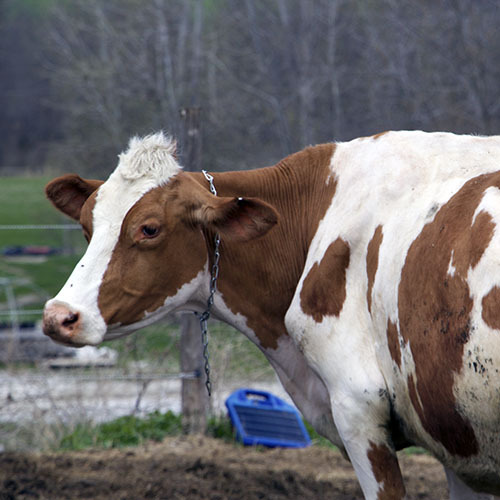 We offer Educational Workshops throughout the calendar year covering topics that include: Raw Dairy Processing (Cheese, Butter & Yogurt Making), Dowsing & Agriculture, Caring for Your Family Cow & Calf, and Management Intensive Grazing." Chad & Morgan: "We have goat's milk seasonally. Usually from April-December. Please call ahead to ensure we have milk available. We are often sold out due to milk pre-orders. We are 100% grass forage fed goat dairy. We don't feed any grain, corn, or soy to our goats!" Grant, Deborahlee, Harley, Francis & Wyatt: "Raw milk is available daily from March 15th till Dec. Farm open for visits daily. We sell raw Goat milk, all natural soap from the milk & goat milk fudge. We also sell fresh eggs. Call 518-221-7549 for visiting. Our milk is very different than any other goat milk you have ever tasted, with the special diet I feed, our milk is very sweet & light." 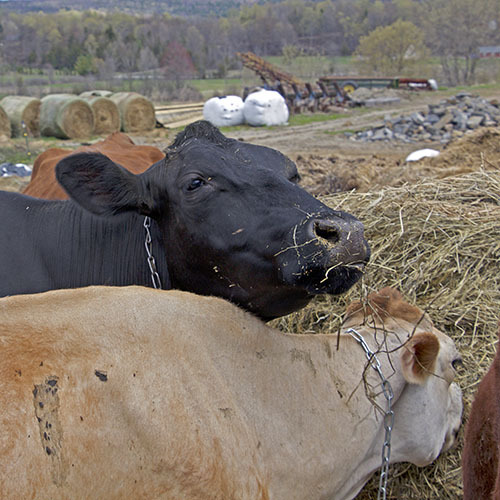 Rich: "We milk 35 100% grass-fed CERTIFIED ORGANIC Jersey cows making over 5% butterfat. 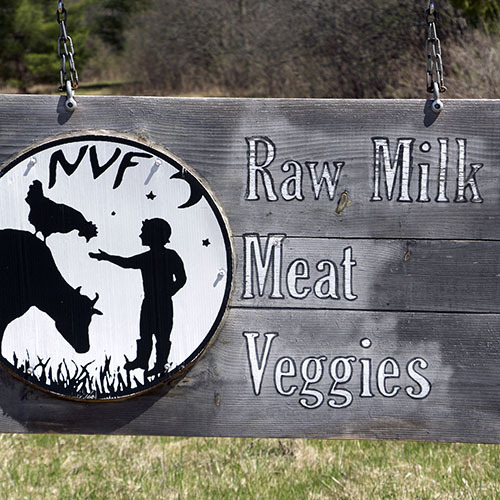 We are a licensed ‘Tier II’ Vermont Raw Milk vendor. That means our milk is tested at a federal lab twice a month and must meet very strict sanitation standards. Currently in Vermont we may sell your milk only at farmers’ markets or at the farm. 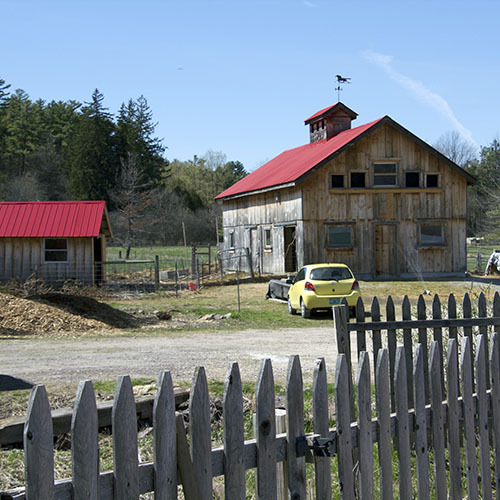 Larson Farm has a farm store that is open 7 days a week, 8am to 8pm, self serve. No need to call ahead, but if one wants a significant volume, best to call so we can have it ready. 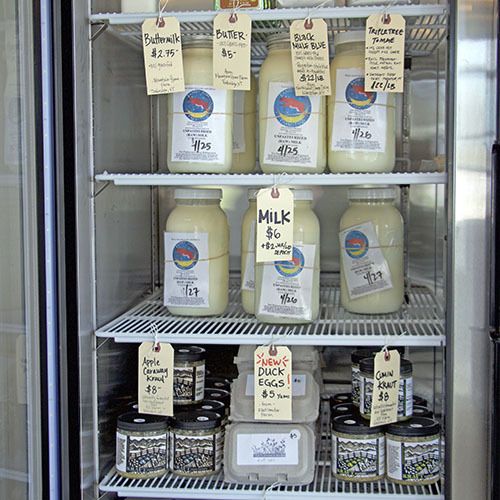 At our store, we offer our unpasteurized ‘raw’ milk in half gallon glass jars for $6. This includes a $2 jar deposit, so returning customers who remember to bring their clean jars pay only $4. We just built a federally approved creamery, and also offer whole-milk ‘creamtop’ plain yogurt and maple yogurt and organic gelato. This summer (2017) we will open a B&B on the farm, hoping to attract like minded people who wish to vacation on an organic farm. One final note: We test our cows for the A2A2 casein gene and have been selecting for that trait for 5 years. We have the ability to do special orders for only A2A2 milk, but that requires an appointment." 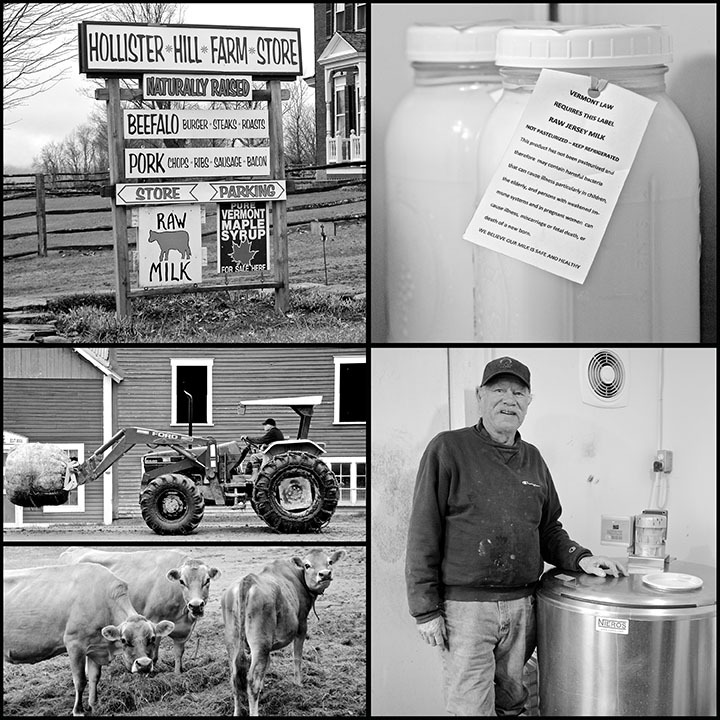 Laurie & Dan: "Our milk comes from our small herd of mostly registered Jerseys. We also have a few brown Swiss and a few Jersey crosses too. 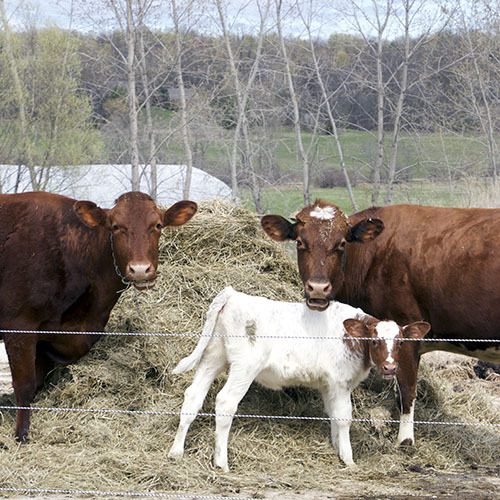 Our cows are pastured through spring, summer, and early fall and eat hay we've harvested all winter. They get grain only at milking times. 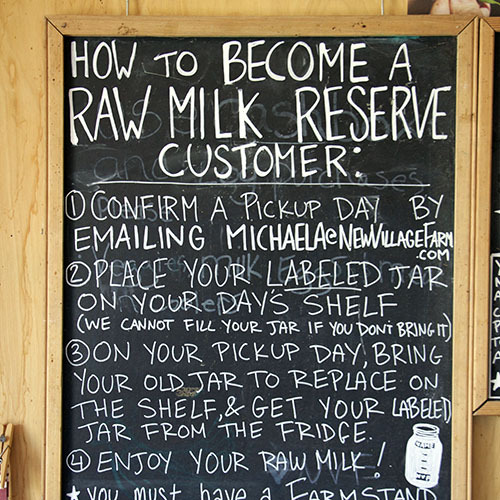 We bottle raw milk for our farm store almost daily. 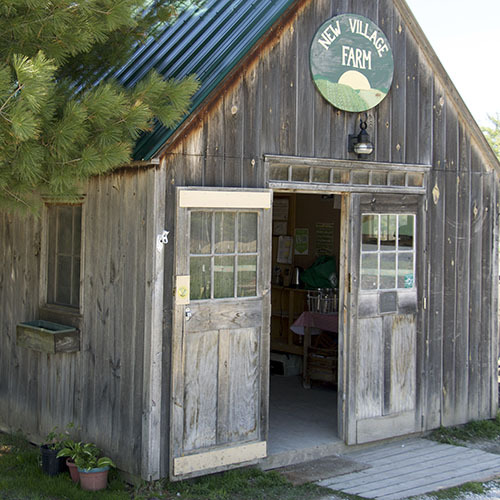 The farm store is self serve and always open, year round. No need to call ahead unless the customer wants to purchase more than 2 half gallon jars at a time. If a larger purchase is desired we ask them to email us with a pick up time and the desired amount which we will have reserved for them. We only sell whole milk in half gallon jars. It is $4 per jar plus $3 first purchase deposit for the jar and plastic lid, and just $4 with jar and lid exchange after that. 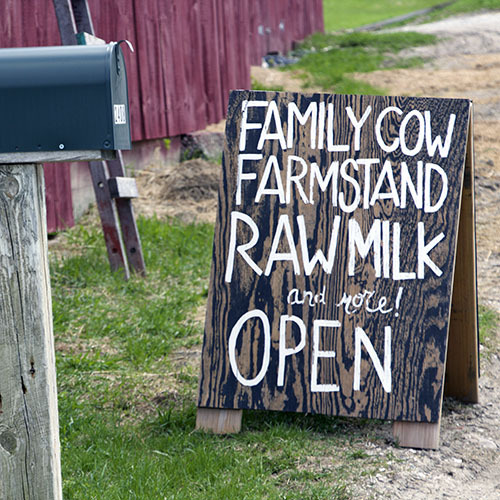 The bulk of our milk is made into aged raw milk cheese right next door at Consider Bardwell Farm. We also sell our own beef, our own pastured roaster chickens, local eggs, and other local goods plus a small selection of handmade artisanal gifts. 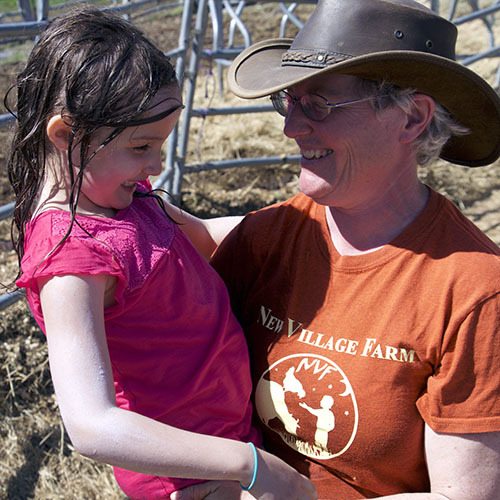 Our farm was awarded the Vermont Sustainable Farm of the Year in 2013. Lisa: "I already have several Quebecers who travel here, even when gas prices were high to get our milk with the insistence that they would continue to come, no matter the gas cost! We milk jersey cows year round and keep the sales frig stocked to the legal limit. We are grass based and do not feed any fermented feed." Irene: "If travelers are passing through the area they can call ahead at 802-297-3258 to pick up milk. We charge $8.00 American for a half gallon plus $2.00 for the glass jar. If they bring their own jar then they will not incur this fee or if they bring back the empty jar we will replace it with a filled jar with no additional jar fee. We milk year round. January is usually the start of the kidding season and we now (feb 9th 2017) have 7 fun loving kids. We will be kidding until June. 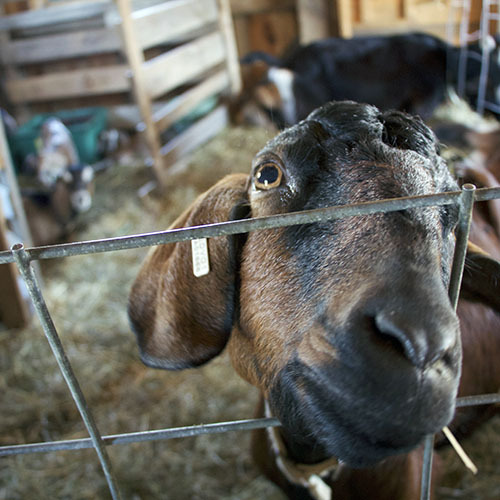 We are also an interactive goat farm and encourage our guests to participate in the milking and feeding of our goats. We are 215 miles/ 4 hours from Montreal." Ashlyn: "We like at least 24 hours notice before someone comes to pick up milk. Our preferred method of contact is email (rebopfarm@gmail.com); phone ((802)365.1974) is fine too. We sell cow's milk year round, and pastured meats (pork, rose veal, lamb, and home slaughtered turkey, chicken, rabbit, duck) seasonally. Running a small farm and micro dairy is the great joy and dream of my life. 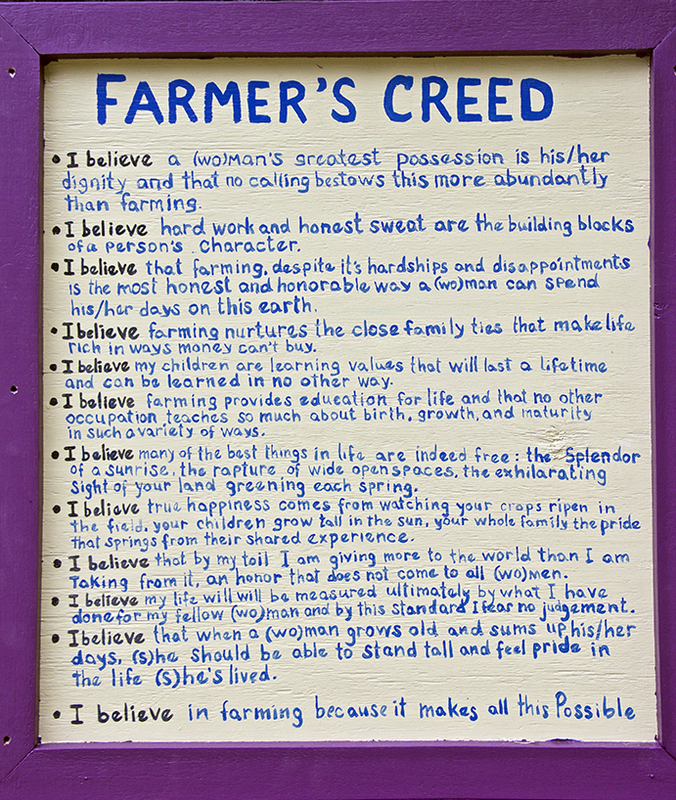 Thank you for advocating for the producers and consumers that want access to this life/career and food." Mark: "You can tell your trail viewers that we currently are milking Normande (a traditional french breed of cattle) and jersey cows. We have the honor system and a store offering milk, cheese, eggs, beef and pork, as well as other local products. We usually have milk all year round. Though we are seasonal, we always have some cows that don't get pregnant so we continue to milk these through the winter months until calving season. If they are traveling from Canada I would recommend calling ahead to make sure we have it, especially if they are planing to get a larger quantity. Most of the time we have plenty on hand." Luke: "Raw cows milk and cream available year round in a self serv farm stand. Oen 7 days 7 am to 7 pm. 100 % grass fed milk. Normande cows. 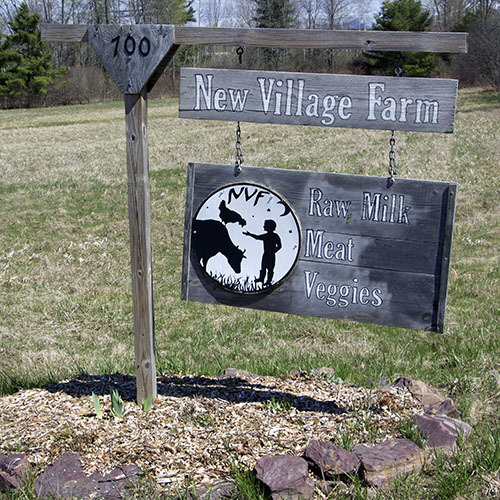 Raw milk farmstead cheeses." Jenny: "Small herd of Dexter/Mini Jersey crosses, 100% grass-fed. On rotational pasture May-November (if Mother Nature allows) and raised as naturally as possible. Raw Cow Milk $4/half gallon, $2.50/quart. Plain yogurt $4/quart, Flavored (and lightly sweetened with maple syrup) $5/quart (Maple, Vanilla, Coffee, Lemon). Available year round at their farm store, open daily from 8am-8pm." Melissa: "We have a farm stand that is open 7am to 7pm every day of the year where people can come buy milk by the bottle. It comes in a glass quart bottle so there is a deposit on the bottle. We sell most of our milk through our CSA and the supply of milk that is available in our farm stand fluctuates depending on how much extra milk we have and what we bottle that day. If someone wants to purchase a larger amount it is always a good idea to reserve and pay for it ahead of their visit. But people can just show up too and take their chances. 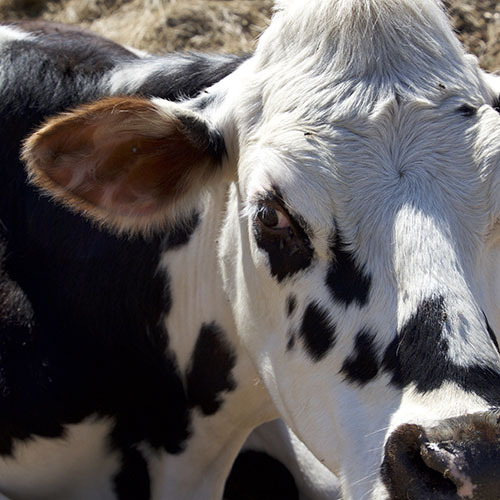 Our milk is certified organic and 100% grass-fed. We have other products at our farm stand too like beef, pork and dairy products produced with our milk, both raw and pasteurized." Sue: "I have a large herd of Nubian Dairy Goats who produce a nice, rich, creamy and good tasting milk. Always try to keep some frozen milk on hand in case of a "drop in" but fresh needs to be pre ordered. I milk year round. At times I do have soft cheese and yogurt. Also carry a nice selection of goat milk soap." Wayne: "Just goat milk. Nubians have highest butterfat content, tastes the best!" Matt: "We are milking sheep now, so we have milk from late May until early October. It is best to call ahead, to make sure folks are home. We do both hard and soft cheese as well as the milk. We also sell meat (beef, lamb, poultry) and eggs (chicken and duck)." 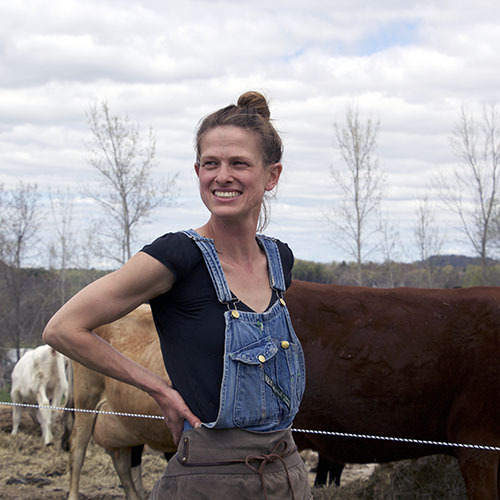 Brittany: "Currently, we have raw milk available between the months of June-December. Beginning in June 2018, we should have milk available year-round. We produce raw goat's milk only. You can just show up at the farm store to buy milk, but it isn't guaranteed (first come, first served)." Chris: "We are a licensed raw milk dairy. We've been in business since 1982. We currently milk 30 jersey cows. Our cows are fed primarily dry hay, balage, and pasture. We produce all our own forage. We do feed some conventional grain based on forage quality. Our milk is available in 1/2 gal returnable glass bottles. We offer raw whole, skim, and heavy cream. Also we have many types of raw milk hard cheeses made with our milk. We also make about 40 flavors of ice cream, the base has to be pasteurized (not allowed to make it raw). Our store is open 7 days, 8 am to 8pm. Lots of other meats, maple Syrup, and other products made and grown by the family available in the store. Our milk is available all the time only need to call ahead if want to pick up a large quantity." 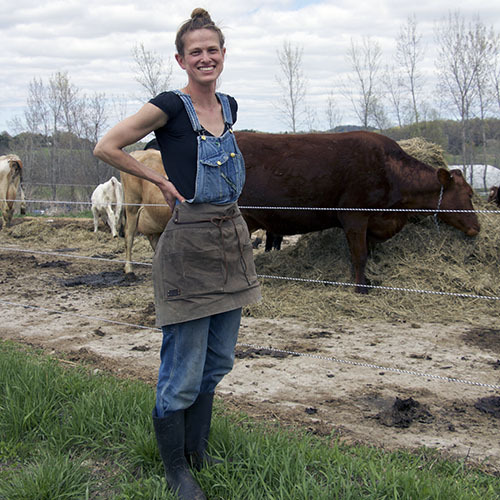 Kaili: "We are very blessed to be able to supply raw milk, cheese, and yogurts to folks here in Maine. Our location is on rt2 which is where many tourists travel off the beaten path of I-95. 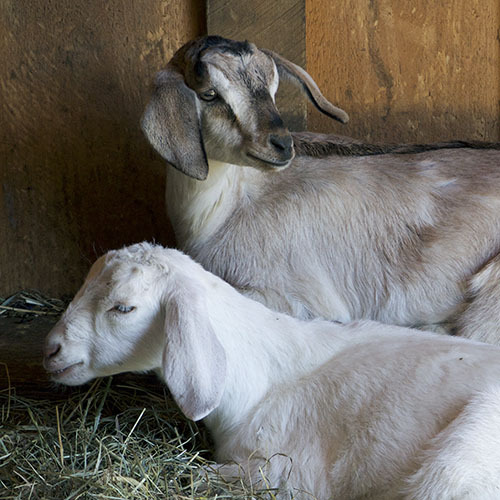 Our goats are raised on love, care, and pasture. Our goats naturally browse in the woods on maple, oak, aspen and wild raspberry bushes. The pastures are maintained with organic fertilizers for the milking does. We began our farm on the premise we wanted to know where our food came from and how the animals were treated. Now we can give this promise to you: "Our animals are humanely treated & not pumped full of antibiotics and/or hormones." Raw goat milk is available from the 3rd week in March until they dry up around December. We also make raw Feta cheese:) Our a farm stand is a convenient way for the community to buy local products like USDA packaged meats, raw goat milk, yogurts, and cheeses. Ring the door inside to let us know you are here :) We are either in the fields, cheese room or in the house. 9 a.m. until 4p.m. Sometimes until 6 pm depending on daylight. Check our FB page to verify times our farm stand is open." 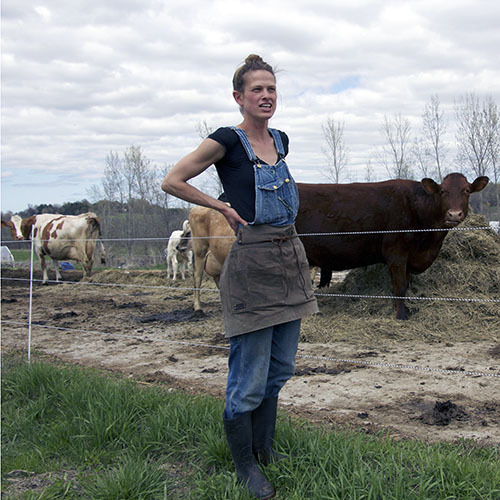 Katia: "We produce 100% grass-fed organic milk year round (pasture in the summer & hay in the winter). Our farm stand is open every day of the year and drop-ins are welcome, but it is a good idea to call or email ahead for larger orders. 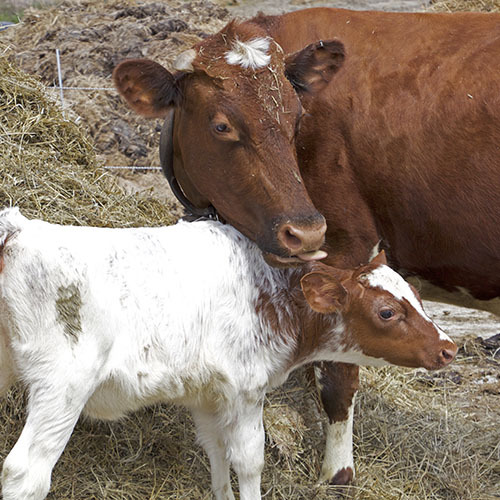 We produce raw cow's milk and raw cow's cream from our Jersey cows. (Sometimes we don't have cream in the winter & early spring). We are looking into adding raw sheep's milk. We are extremely lucky with our food freedom here in Maine and moved to this state for that reason. Good luck! PS We are hosting a grazing workshop by Ian Mitchell-Innes at our farm in June (2017). You may be interested in attending or know folks who would be. Please help us spread the word!" 32 artisans américains qui vendent leur lait cru dans ces 4 États qui bordent le Québec. Lait cru de vache, de chèvre et de brebis, crème fraîche, crème glacée, fromage au lait cru. Tous ça vendu à la ferme, le plus souvent en formule libre-service ("honor system"), à une enjambée de chez-nous. Là-bas non plus l'histoire n'est pas simple, nourrir des gens qui ne savent plus manger n'est jamais facile. Mais une chose est sûre: ces fermes sont des lieux de culte. Celle d'Henry où nous avons fait notre première communion au lait cru de vache, celle de Michaela où l'enseignement de la paysannerie passe avant tout, celle de Lisa et Carl, adeptes convaincus de l'auto-suffisance et de la culture holistique de la femme, de l'homme et de la nature, celle de Bob et Lee figée hors du temps, stoïque, invitante comme seules les fermes qui n'ont rien à cacher peuvent l'être, celle de Doug et Barbara où dans leur "Sauerkraut house" la vie foisonne à chaque étage, dans les barils de Kimchi, dans les livres des bibliothèques, dans la tête de ces artisans sauvages qui l'habitent; des lieux de culte. «Du lait, du bon lait, du bon lait frais pour tout le monde» chantions nous tous en choeur avant que notre agriculture ne perde le nord et nous pousse à aller voir ailleurs si elle y était. Au sud de nos frontières, elle y est. 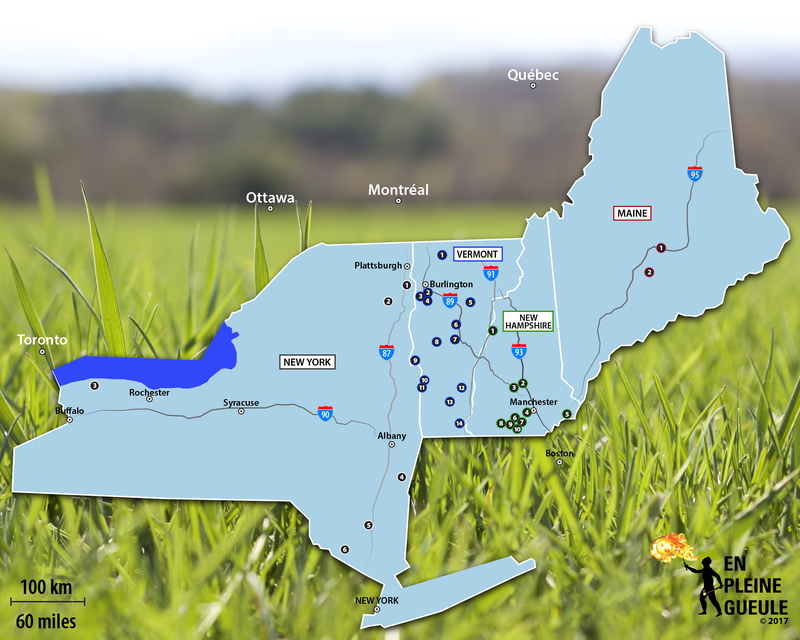 32 American craftswomen and craftsmen sell their raw milk in these 4 American states bordering Quebec. 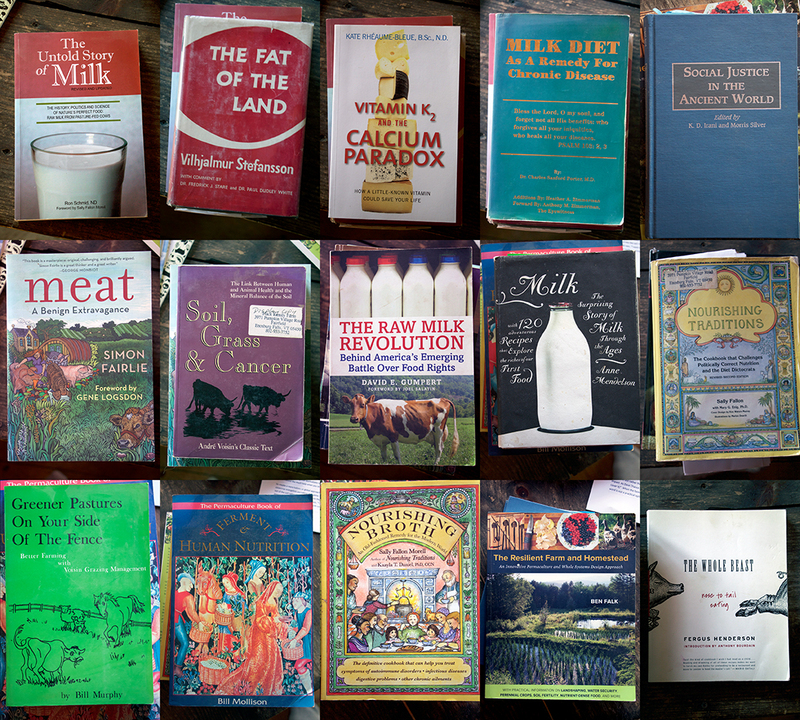 Cow's, goat's and sheep's raw milk, cream, ice cream, and raw milk cheeses. All sold at the farm, most often operating some kind of "honor system", just a stride away from us. Nothing is simple for them either, feeding a majority of people who don’t really care about what they eat is never easy. But one thing is certain: these farms are places of worship. That of Henry where we had our first communion in raw cow’s milk, that of Michaela where husbandry education comes first and profit, perhaps, much later, that of Lisa and Carl, a formidable shrine to this life-giving and life-taking endeavour which self-sufficient holistic farming is, that of Bob and Lee, frozen out of time, stoic, welcoming outside scrutiny as only those who have nothing to hide can, that of Doug and Barbara in their "Sauerkraut house" where life abounds on every floor whether in barrels of KimChi, in the many books of their many libraries, or in the beautiful minds of these wild artisans who inhabit their community many levels deep; places of worship. Remember this childhood rhyme "milk, good milk, good fresh milk for everyone" we all used to sing along before our agriculture lost its bearings and pushed us away. Where is she now? South of the border, in all these little shrines, that’s where. Bob Light produit et vend à la ferme ses produits (naturels, biologiques, sans hormones de croissances, sans antibiotiques) depuis le début des années 2000. Sur sa petite ferme comptant 4 vaches laitières Jersey élevées au pâturage, une trentaine de beefalo (un croisement entre le boeuf et le bison), une vingtaine de cochons, des poulets et des poules pondeuses, les clients sont invités à visiter librement les installations pour se faire une tête sur le type d'élevage qui y est pratiqué (!). C'est ce que moi et Amélie avons fait la semaine dernière. À la boutique libre-service (!!) attenante à l'étable, le frigo regorge de lait cru en pots masson (3.50$ pour 1.9 litres de lait entier ± 5%) et le congélateur propose du porc à la saveur sans pareil parce qu'engraissé au lait cru entier et au petit lait. Sur la table, au milieu de la pièce, du sirop d'érable, des confitures et une petite-caisse ouverte avec du «change» où on paie soi-même pour ses denrées. On est loin du Québec... Et pourtant, la ferme de Bob et Lee Light, aussi bed & breakfast, est à moins de 100km de la frontière québécoise (le double de Montréal). On tourne le fer dans la plaie maintenant? Non seulement le lait cru (avec la crème sur le dessus) et le poulet abattu à la ferme sont-ils en vente libre ici, mais Bob nous avoue, à l'aube de ses 80 ans, ne jamais avoir été aussi rentable qu'en vendant ses denrées à la ferme, directement à ses clients. Depuis qu'il ne fait plus affaire avec des agences de mise en marché, Bob dit récolter plus de 100 000$ (US!) par année via sa petite échoppe libre-service ouverte de 9 à 5 tous les jours de l'année. C'est donc dire que quand on peut, on veut: les clients locaux affluent, rapportent leurs contenants vides, mettent l'argent dans la petite-caisse et repartent avec du «beefalo», du porc, du poulet, de la dinde, du lait cru, des oeufs fécondés, des confitures maison et du sirop d'érable de la ferme. Faut le voir pour le croire! Notre voyage se poursuit un peu plus au sud alors que nous partons à la rencontre de Lisa McCrory et de son mari Carl Russel qui exploitent une petite ferme biodynamique à Bethel. Attachez vot'e tuque avec d'la broche, on niaise pas avec la puck icitte: cette ferme familiale pratique une agriculture régénérative (le nouveau "buzz word" en agriculture artisanale), est certifiée biologique et emploie des animaux de trait comme moteur de production. Lisa et Carl produisent et vendent du lait cru, du poulet et des dindes de races patrimoniales, du boeuf, de l'ail, des légumes, des fleurs ainsi que des oeufs et du porc provenant d'animaux élevés et nourris au pâturage. Le tout est vendu sur la ferme, évidemment, avec des poteries faites à la main par Lisa. Pour l’achat de lait cru provenant de la ferme, on demande un ou deux jours de préavis puisque la ferme a de nombreux abonnés mais ne trait qu'une ou deux vaches à la fois. La ferme est "off-the-grid", générant sa propre électricité. Les vaches sont donc traites à la main. Lisa explique que, de toute manière, la traite manuelle leur permet de garder un oeil attentif sur la qualité du lait et la santé de leurs vaches. De plus, lorsque vient le temps de traire, c'est au pâturage qu'a lieu l'opération, là où les vaches sont en train de brouter. Au cours de la belle saison, les vaches broutent sur un pâturage de haute qualité grâce à un système de gestion intensive des pâturages (clôtures électriques mobiles) et mangent deux ou trois kilos de grains ainsi que du varech, du sel et des minéraux biologiques à leur guise. Pendant les mois d’hiver, les vaches sont nourries de foin sec. Sauf à l'occasion de quelques journées trop froides, les vaches restent dehors toute l’année, bénéficiant d’air frais, d'un environnement propre, d'une grande liberté de mouvement et de la possibilité de socialiser entre elles. La ferme propose des ateliers éducatifs tout au long de l’année scolaire: transformation de lait cru (fromages, beurre & yaourt), radiesthésie et agriculture, élevage et vêlage d'une vache de famille, récolte du bois avec des chevaux et gestion intensive des pâturages. À 40km de La Grelinette à Maude-Hélène et Jean-Martin, Doug et Barbara Flack, tous deux ardents francophiles, ne font pas exception à la règle: ce sont d'abord et avant tout des amants de le nature humaine et de son potentiel d'émancipation. Doug voit les Mozart et Beethoven de ce monde avant les Hitler et compagnie. Ci-dessous, une infime partie de la magnifique collection de livres de la famille Flack. Encore un paysan qui profite du contexte vermontois pour nourrir sa communauté. 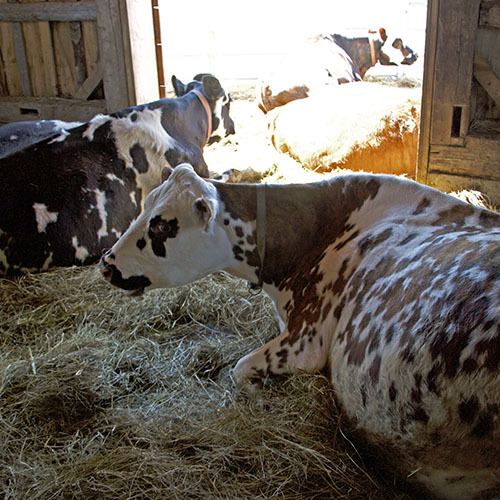 Henry trait ses 6 vaches sur une ferme coopérative, la Bread & Butter farm, et vent son lait cru au café-épicerie de celle-ci où sont aussi offerts pains, viandes, légumes, fromages et oeufs. J'espère qu'on commence à comprendre l'idée: quand on peut, on veut. “When there’s a way, there’s a will". Henry’s Dairy est encastré dans la magnifique Bread & Butter farm, peut-être la plus achevée de toutes celles que nous avons visitées. - Pour être invité à participer à nos événements Why bother?